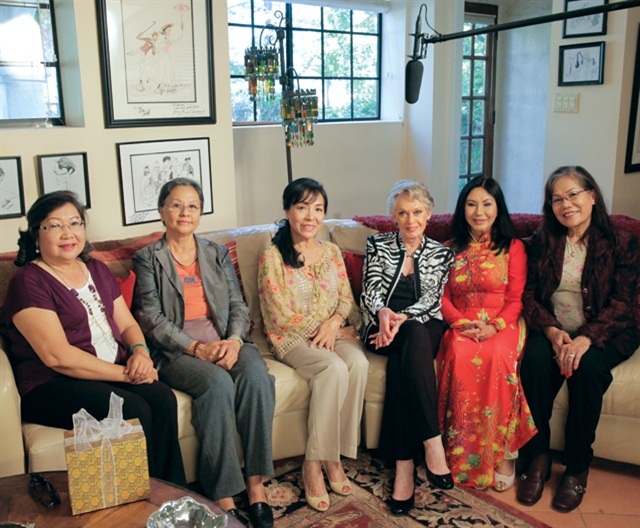 On a summer afternoon in 2014, five Vietnamese women and one Hollywood actress reunited after 39 years. From their first meeting in 1975, these five women, part of a group of 20, would completely transform the nail industry and play a pivotal role in Vietnamese-American history, all thanks to the actress, Tippi Hedren. The six women gathered for a group interview with filmmaker/director Adele Pham for her documentary, “#NailedIt: Vietnamese & the Nail Industry.” During the Vietnam War, Hong Ton, Kim-Dung Nguyen, Thuan Le, Yen Nguyen, and Anh Vu were the wives of lieutenants and generals or had worked for American companies, giving them an urgent reason to leave Vietnam. They sat with Hedren in her publicist’s home in Altadena, Calif. The lights, boom mics, and film crew were the norm for Hedren. But this was the first time in front of the lens for the majority of the other women. Hedren is a veteran Hollywood actress, best known for her role in Alfred Hitchcock’s 1963 thriller “The Birds.” She is also a global humanitarian, volunteering as a relief coordinator for charity organization Food for the Hungry during the Vietnam War. “When Saigon fell, we rented a battleship from the Australian Navy and went through the South China Seas helping the boat people,” Hedren recalls. Upon her return to California, Hedren worked with the charity organization to transport a group of refugees from Camp Pendleton in San Diego, Calif., to Weimar Hope Village, a refugee camp they set up at an abandoned tuberculosis sanitarium outside of Sacramento, Calif. Among those transported was Thuan Le. “In my head, I didn’t have a picture of what a manicurist was,” says Kim-Dung Nguyen. 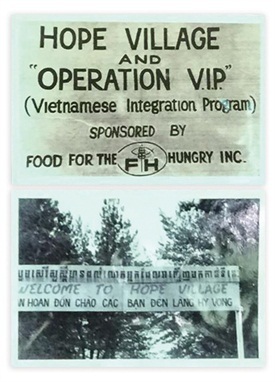 Nguyen was a widowed mother of two young girls, ages 6 and 4, when she arrived at Camp Hope. Thanks to her ability to speak English, she was able to help Camp Hope coordinators with translating messages back and forth when needed. After that trip, Hedren’s manicurist, Dusty Coots, flew in from Los Angeles weekly to teach the women proper nail procedures, from the basics of prepping and polishing to the Juliette wrap, a paper-like wrap popular at the time. “They would practice on each other, they would practice on me, and they were very excited about this possibility,” Hedren says. When they finished the course with Coots, they were driven to Citrus Beauty School in Sacramento, Calif., where Hedren tried convincing the school to allow the women to enter a nails-only program, something that was uncommon at the time. “First they said no, they don’t have just a manicure class, and it would take years for a cosmetology license. But Tippi convinced them to teach us to do nails only. And the principal accepted us,” Le says. The women passed the state board exam in English, received their nail licenses, and went their separate ways. The 20 newly licensed manicurists found jobs in beauty salons, opened their own salons, and spread word to family and friends that they, too, could make a good living in this new country. 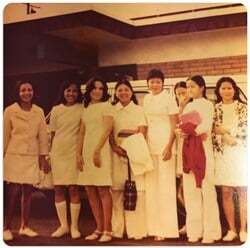 One of the 20 women, Tu Cat, worked as a nail tech and hair stylist for a short period of time before becoming a social worker, helping to process refugees entering the U.S. “I told many people about the nail business, how easy it was to learn how to do nails and get a license. Some families would call me to thank me, saying they were opening one or two salons,” she recalled. Minh Nguyen, on the other hand, had a job as a social worker before joining the nail industry. After seeing a story about Thuan Le entering the beauty business in a local newspaper, he had to see her, as she was his wife’s best friend in Vietnam. 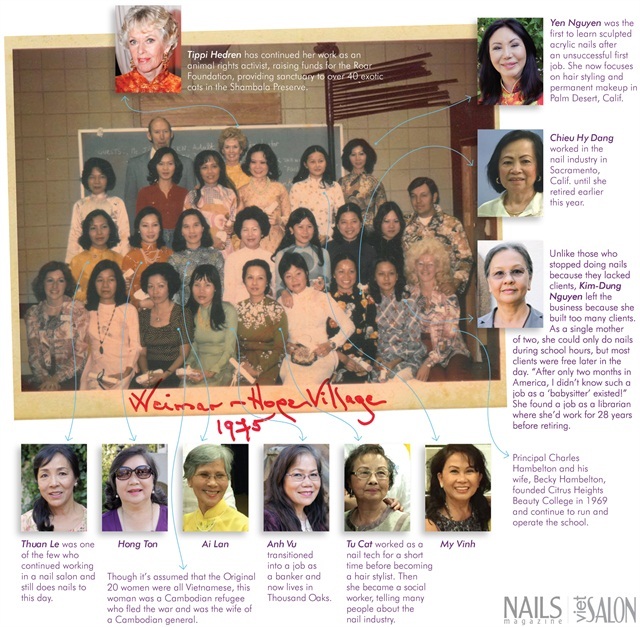 The reunion led him and his wife, Kien Tam Nguyen, to becoming nail techs in 1977. “My parents were both nail technicians. They progressed to owning and operating salons themselves and eventually got into the schools,” says Tam Nguyen, Minh and Kien Tam Nguyen’s son. He is the co-owner of Advance Beauty College, the school that his parents opened, with his sister, Linh Nguyen. The school has since seen over 30,000 students graduate and has one of the largest nail programs in the U.S.
Billy Chen Ngo was among the second wave of boat people to flee Vietnam, staying in a Hong Kong refugee camp for eight months before arriving in the U.S. in 1979. ”No one wanted to live under a Communist Regime, everyone wanted to find a way out,” he says. He went to college for three years but still had to find a means to survive. His brother found his way into the nail salon, which gave Ngo an idea. He purchased some photo negatives of hand poses from Karen’s Nail Supply in North Hollywood, had them developed into wall posters and sold them to nail salons door to door from the back of his van. “I made connections at a lot of nail salons, and people asked me ‘why don’t you sell nippers? Why don’t you sell nail brushes?’ So I made a deal with Antoine de Paris for nippers, I found a brush company, buffers, files, and so on.” In the mid 1980s, Ngo partnered with Danny Lu and started Starlight Beauty Supply. A few years later, they went their separate ways and he created a new company, Skyline Beauty Supply. “It’s so easy now for new nail techs. They have the Internet and supply stores that sell everything. Finding acrylic back then was very difficult,” Le says. She took the bus to Jack Sperling’s beauty supply store in Hollywood, Calif., where she purchased nail products and Alpha 9 acrylic before a friend of hers told her about Hollywood Beauty Supply and Skyline, which were Vietnamese-owned. Le also found her way to the Jack Sperling Nail & Beauty Expo, doing anything she could to find the right products. While Hollywood Beauty Supply, Starlight, and Skyline were among the first Vietnamese-owned nail distributors, Mylan Lieng is credited for establishing the first Vietnamese-owned nail manufacturing business. In the late ‘70s, Lieng started Tru Nails in Reno, Nev., specializing in artificial nail tips and acrylic nail products to meet the growing demand of acrylic services. Shortly after, she moved the company to Garden Grove, Calif., a more central location for the Vietnamese community. Although Tru Nails no longer exists as a nail brand, Lieng’s company set the precedent for Nails 2000, currently owned by Lieng’s sister, Mai Vo. Thuan Le has kept in touch with Hedren over the years, but it was thanks to her work with filmmaker Adele Pham that Hedren was able to reunite with a few of the original 20 women since they went their separate ways nearly 40 years ago. “I wanted to capture the emotional story of this group of women. I wanted to show how this extraordinary opportunity for the Vietnamese people came out of extraordinary loss, as I understand it from our parents generation,” says Pham. 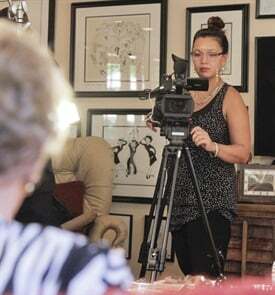 Pham started work on her documentary the way many historians, filmmakers, reporters, and authors before her began their research on the Vietnamese nail industry: “I always wondered why so many Vietnamese do nails,” Pham says. As a second generation Vietnamese-American, it was important for Pham to tell as complete a story as possible. “Other documentaries only focused on Tippi and some on cô Thuan. I wanted to show the group dynamic. This film is also more about the Vietnamese people, where we’ve been and where we need to go. I hope the film will give us a greater sense of ownership and invest in improving the nail industry,” Pham says. Pham’s documentary touches on race relations, culture, and health issues affecting salon workers. Her research has taken her to nail salons all over the U.S. and to Korea following Trang Nguyen, one of the early Vietnamese-American nail competitors who founded global nail company Odyssey Nail Systems. We glimpse modern-day Vietnam, which shows many nationals learning the nail trade at specialty schools in Vietnam with the hope of immigrating to the U.S. or to a wealthy country where success is possible. But the difference between doing nails now and back then is that back then, it wasn’t to be successful; it was to survive. Kelvin St. Pham started doing nails in 1990 after he was laid off as an electrical engineer. After attending the Long Beach Nail Show in 1995, he became an educator for IBD, one of the country’s first Vietnamese nail educators. “The Original 20 women, they focused on quality, passed the nail test in English, and from there we should have continued and moved forward. But the detail over the years, servicing the people and building a relationship, that disappeared. Hence, we got a bad reputation,” St. Pham says. The growth of the Vietnamese nail industry helped lower service prices, making nails affordable to all women and not just society’s elite. However, with more and more competition, service prices were significantly lowered and the term “discount salon” was created. Originally referring to service prices that were at least 50% below the national average, the term became a euphemism for Vietnamese-owned salons, and worse, nail techs were working longer hours to make up the cost, which is still a problem in the industry to this day. Seeing a need for more education and to share content in Vietnamese for Vietnamese-owned salons, NAILS Magazine started sister publication VietSALON Magazine in 2006, offering important technical skills, health updates, and business tips to readers. Twenty years and many nail companies later, St. Pham’s career has come full circle as a key account manager for American International Industries, the company that now owns IBD. Hundreds of thousands of harrowing stories of survival through the aftermath of war are the foundation of the Vietnamese community in the U.S. But this, the 40th anniversary of the Fall of Saigon and the end of the Vietnam War, is also the 40th anniversary of the beginning of the Vietnamese nail industry. Vietnamese nail techs helped build the nail business into an $8.5 billion dollar industry. The influx of refugees, who quickly turned their lives around and opened nail salons, made nail services readily available to women and men from all walks of life. In turn, the nail industry has helped bring financial stability to those within it, helping struggling families make ends meet, supporting family still living in Vietnam, and giving the second generation of Vietnamese-Americans the chance to pursue a higher education. “It is thanks to this industry that the first generation could help their families who were left in Vietnam and raise their children to help them become successful,” says Le. It's safe to assume that many second generation Vietnamese-American doctors, lawyers, pharmacists, engineers, and business owners are where they are today thanks to their parents' hard-earned dollars doing nails. At 85 years old, Tippi Hedren’s passion continues to be about helping others, be it people or animals. Hedren has been rescuing exotic felines since 1972 and founded The Roar Foundation Shambala Preserve, a sanctuary for exotic felines. Members of the Original 20 nail techs want to give back to Tippi by donating to her foundation. “We should find a way to pay back Miss Tippi Hedren. She’s not wealthy, and her work with her preservation is difficult and daunting. I have helped, but what I can help with is only a single grain of sand. With many people helping a little, a single grain of sand can fill an entire ocean,” Thuan Le says. Please visit Shambala.org to donate and for information on visiting her preserve of over 40 exotic cats. Many of the Original 20 left the nail industry a few years after they entered it, and by now, most have retired. Some are deceased. Others choose to stay out of the limelight. But although a long nail career wasn’t in their future, they all continued to share their love of the industry and their gratitude to Hedren. “She’s not just a movie star who does charity work. She truly is a woman with a good heart. She really wanted us to be able to start our life and she put all of her effort into it. She’s just a great human being,” says Kim-Dung Nguyen. The Vietnamese community has come a long way in the quest to find the American Dream and has created a strong nail industry supportive of one another, helping one another succeed and grow. This trail of success can be followed back to the help from one courageous and selfless woman. This group photo was taken of the Original 20 women in nail school with Tippi Hedren and Citrus Heights Beauty College staff on graduation day at the school in Sacramento, Calif. They would all go on to pass the state board exam and receive their licenses.